The Pixar’s animated film Finding Dory made a huge appearance on Friday, collecting $55 million from 4,305 theaters in the United States. It is expected to break records previously set by Toy Story 3 and Shrek the Third. Ellen deGeneres was in charge of the main character’s voice. The Finding Nemo sequel would have an opening weekend of $139 million. The most successful opening from an animated movie has been achieved by Shrek the Third, which collected $121.6 million in 2007. The film was directed by Disney’s Pixar veteran Andrew Stanton, who was director and writer of Finding Nemo. According to Stanton, “there is no Dory without Ellen deGeneres”. He has also written the screenplay for Toy Story 4, which will appear in movie theaters in 2018. “Dory won the hearts of moviegoers all over the world. One thing we couldn’t stop thinking about was why she was all alone in the ocean on the day she met Marlin. In ‘Finding Dory,’ she will be reunited with her loved ones, learning a few things about the meaning of family along the way,” said Stanton in a press release. According to the American comedian Ellen deGeneres, the script is fantastic since it maintains the essence of the original film. The television host said in press conference on Thursday that she would love to have traits from Dory, such as optimism and perseverance. Have you seen #FindingDory yet? Did you see the secret ending? Oops. Never mind. Ignore this tweet. The idea to create a new film with Dory as the main character started in 2011, when director Andrew Stanton was watching Finding Nemo in 3D. He said Dory needed a different closure. On the new film, he used Robbie Williams’ song Beyond The Sea again. The new favorite character of the director is Hank, an octopus which fears to live in the wild. Stanton said he spent a lot of time in the development of the Hank and his technical details. On the other hand, producer Lindsey Collins said her favorite characters are Bailey and Destiny. Developing each character can take up to six months, said Pixar Planet. The computing team spent two years with Hank. It was technically complicated at the beginning, but then they learned a way to accelerate the process. Stanton said on Thursday that Dory’s disability represents everybody, “because nobody is perfect. He said the character might be a reflection of his age, explaining that when he reached middle-age, he recognized that there are some things he is never going to change from himself. 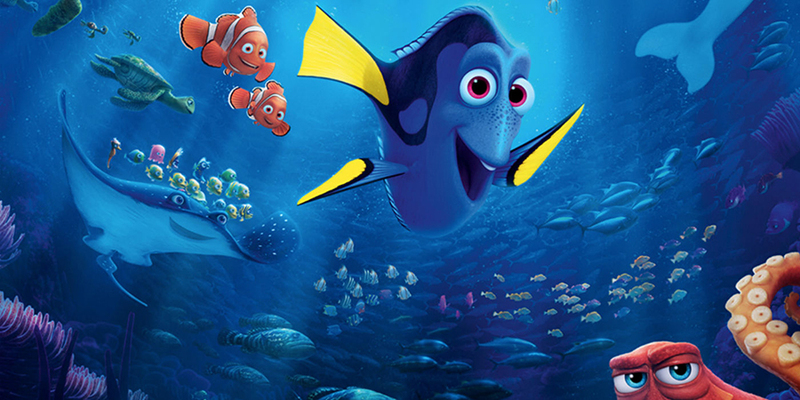 The director also mentioned a few differences between symbolic elements in Finding Nemo and Finding Dory. He said the vast ocean in the first title resembled a desert. In the new film, it is closer to the aquarium because he wanted to explore “a forest setting”. “It’s more like a forest, a fairy tale. In fairy tales, things are hidden, secrets are hidden there, and things are discovered in the forest,” said Stanton, according to Pixar Planet.